LOS ANGELES -- (November 12, 2018) – Dunn-Edwards, one of the nation’s leading manufacturers and distributors of premium architectural, industrial and high-performance paints, coatings and paint supplies, has introduced ENDURA Series, a line of high performance, water-based coatings that offers outstanding corrosion and chemical resistance, and excellent adhesion and hardness. Endura-coat is available in eggshell, semi-gloss and gloss; L, M and U bases; in one-gallon containers. Click for more information and product data sheets. 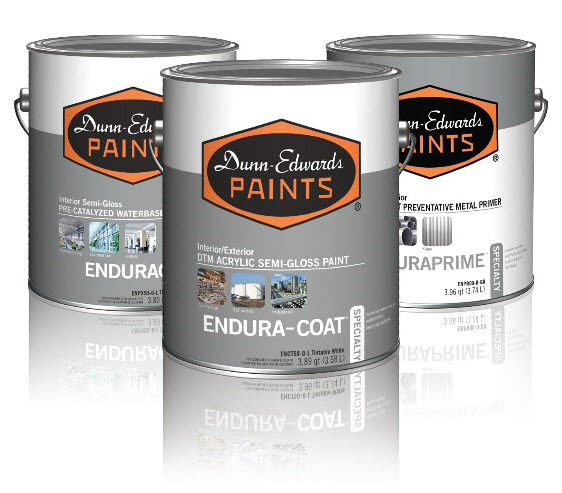 Like all Dunn-Edwards paints, the Endura Series does not contain ethylene glycol (EG). Dunn-Edwards removed EG from its paint formulas in 1984 and remains the only major manufacturer to have done so. EG, which is listed as a hazardous air pollutant and toxic air contaminant, can be harmful to humans.